Some experts are adamant that you need one. Others claim they&apos;re only a marketing ploy, no better than your regular moisturizer. So who&apos;s right? Is eye cream REALLY necessary? 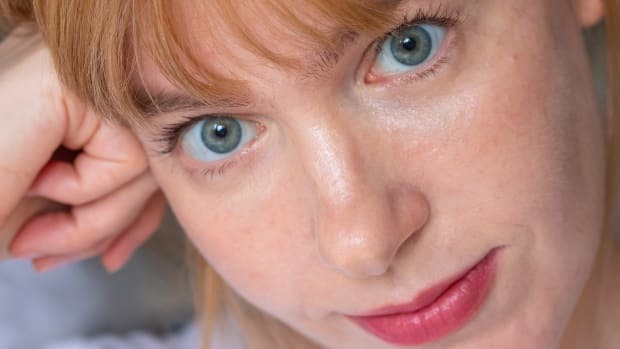 You&apos;re sensitive: Even if you have normal skin everywhere else, you could be more prone to irritation around the eyes, where the skin is thinner. 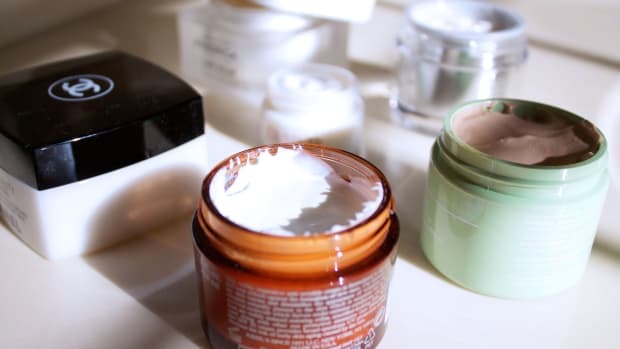 Most eye creams are made with that in mind, so they may contain fewer/weaker active ingredients compared to what goes into a regular moisturizer. The texture may also be lighter, and irritants like fragrances are often omitted. So you could try a separate eye cream if you find your face cream is too harsh or heavy. You want to treat specific concerns: If you&apos;re looking to target issues such as puffiness or fine lines, a specialist eye product will give better results than a moisturizer that is only intended for hydration. Keep reading for my recommendations below! 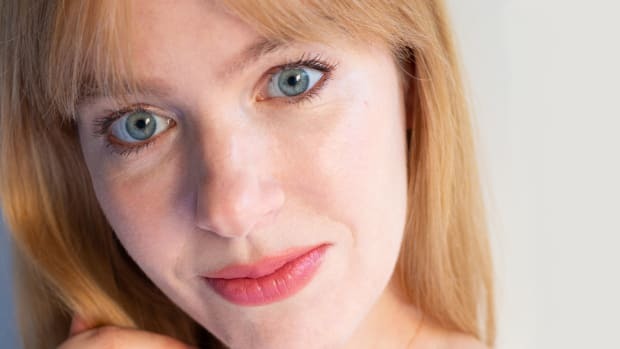 You can&apos;t tolerate retinoids around your eyes: Of course, the retinoid family is the gold standard in anti-aging treatments... but most of us have trouble tolerating them on the delicate eye area. (Hello, crepey skin!) Eye creams with other active ingredients, like peptides, are the next best choice if you still want to do something to fight signs of aging. 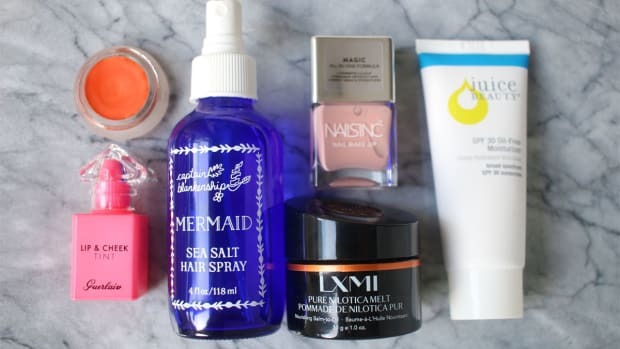 Your skin is dry around the eyes but oily everywhere else: An eye cream can be helpful if you truly only need a moisturizer for that area, not your entire face. Your main concern is dark circles: I&apos;m not convinced that ANY eye cream is that effective for darkness, which is usually caused by food allergies, low thyroid or both. I&apos;d look into those issues first before spending money on an eye cream. 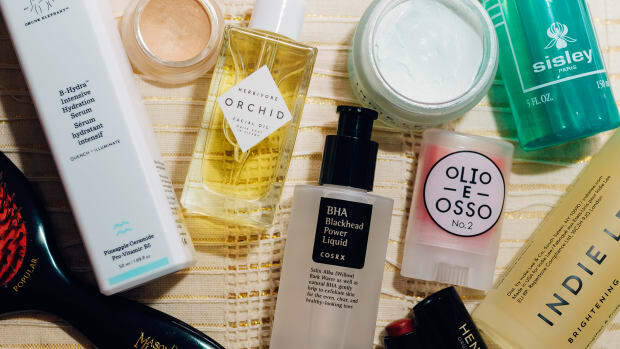 Your existing face product works well: You don&apos;t have to use a separate eye cream if the moisturizer or anti-aging cream you&apos;re already applying on the rest of your face works well for you. If you&apos;re getting results without irritation, there&apos;s no reason it can&apos;t go everywhere. 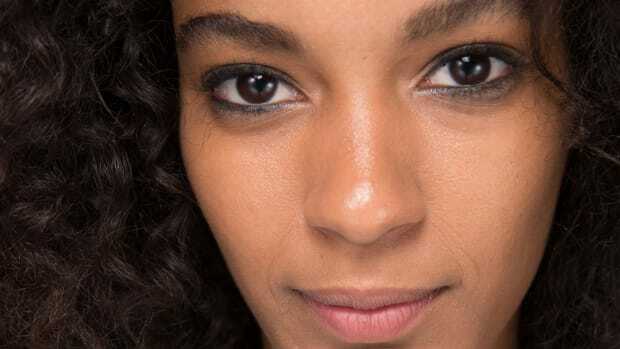 You&apos;re able to tolerate retinoids around your eyes: Like I said, retinoids are the Holy Grail for fine lines and texture issues. And I truly think that the retinol face products on the market are better-formulated than the retinol eye creams (which almost always list water, dimethicone, glycerin and unstable oils as their first few ingredients). 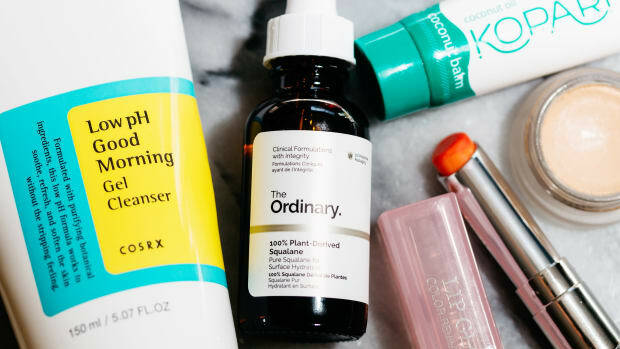 So if you&apos;re able to use your existing retinoid around your eyes, as well as the rest of your face, consider yourself lucky! Otherwise, one of the least irritating to try is The Ordinary Granactive Retinoid 2% in Squalane. Alright, now for a few product recommendations! If you do want to go ahead and use an eye cream, these are the best ones I&apos;ve found. A quick note on ingredients: Some of these do contain a small amount of silicone or unstable (polyunsaturated) oil—it&apos;s hard to find eye creams without those!—but I don&apos;t think that&apos;s something to worry about near the end of an ingredients list. Unfortunately, I haven&apos;t been able to find any retinol-based eye creams low in silicones. 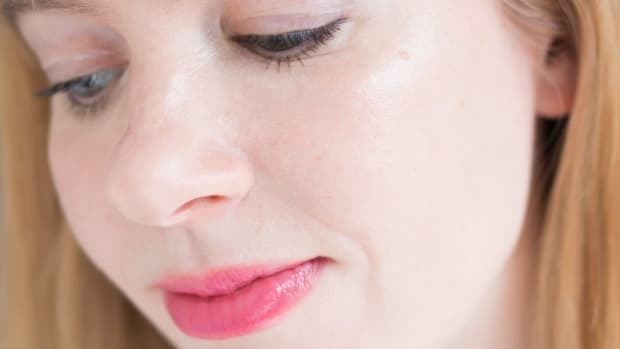 The concerns with high silicone content in an eye cream are that they could promote milia, encourage dehydration over time, and potentially block active ingredients. Again, if you&apos;re seeking something with retinol, I would suggest trying a gentle face product such as The Ordinary Granactive Retinoid 2% in Squalane around the eyes. Biossance Squalane + Peptide Eye Gel has a great, light texture that is perfect under makeup. It contains a Swiss apple stem cell extract and peptides for anti-aging, and is also high in two of my favourite ingredients, squalane and niacinamide. Hylamide SubQ Eyes is a silicone-free peptide serum that targets multiple concerns: lines, puffiness and dark circles. Like I said, I wouldn&apos;t expect miracles with the latter, but it does offer good, lightweight hydration. Plus, you&apos;d be hard-pressed to find an eye product with this many actives, for this price! Ingredients: aqua (water), glycerin, methyl methacrylate/peg/ppg-4/3 methacrylate crosspolymer, albizia julibrissin bark extract, propanediol, myristoyl nonapeptide-3, palmitoyl tripeptide-38, dipeptide diaminobutyroyl benzylamide diacetate, epigallocatechin gallatyl glucoside, gallyl glucoside, darutoside, aminobutyric acid, fucus vesiculosus extract, ascophyllum nodosum extract, asparagopsis armata extract, hydroxypropyl cyclodextrin, mangifera indica seed butter, lecithin, orbignya oleifera seed oil, squalane, sorbitol, tocopheryl acetate, propyl gallate, polyacrylate crosspolymer-6, pentylene glycol, cetearyl isononanoate, ceteareth-20, cetearyl alcohol, glyceryl stearate, xanthan gum, ceteareth-12, cetyl palmitate, gluconolactone, potassium sorbate, sodium benzoate, benzoic acid, benzyl alcohol, hexylene glycol, caprylyl glycol, dehydroacetic acid, phenoxyethanol, chlorphenesin. Dr Roebuck&apos;s Eye Regeneration Cream. Dr Roebuck&apos;s Eye Regeneration Cream is a rich, all-natural cream made with stable macadamia oil and shea butter. This should be tolerated by most people, and would be ideal if you&apos;re trying to treat dryness or fine lines. 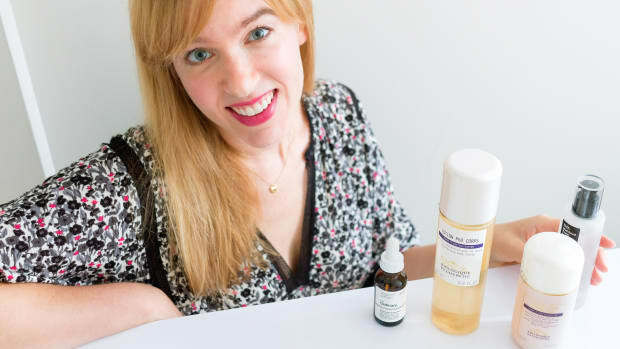 The Ordinary Caffeine Solution 5% + EGCG is a really affordable option for puffy eyes, thanks to the caffeine (which is also highly beneficial for skin because it repairs sun damage and has some sunscreen-like effects). Ingredients: Aqua (Water), Caffeine, Maltodextrin, Glycerin, Propanediol, Epigallocatechin Gallatyl Glucoside, Gallyl Glucoside, Hyaluronic Acid, Oxidized Glutathione, Melanin, Glycine Soja (Soybean) Seed Extract, Urea, Pentylene Glycol, Hydroxyethylcellulose, Polyacrylate Crosspolymer-6, Xanthan gum, Lactic Acid, Dehydroacetic Acid, Trisodium Ethylenediamine Disuccinate, Propyl Gallate, Dimethyl Isosorbide, Ethoxydiglycol, Benzyl Alcohol, 1,2-Hexanediol, Ethylhexylglycerin, Phenoxyethanol, Caprylyl Glycol. Drunk Elephant Shaba Complex Eye Serum. If you&apos;ve been curious to experiment with copper peptides, which are one of the most promising anti-aging ingredients, the Drunk Elephant Shaba Complex Eye Serum might be a good place to start. This has a light texture and also contains Swiss stem cell extract, niacinamide and antioxidants. Ingredients: Water, Octyldodecanol, Glycerin, Boron Nitride, Saccharomyces/Xylinum/Black Tea Ferment, Coconut Alkanes, Cetyl Alcohol, Cetearyl Olivate, Sorbitan Olivate, Niacinamide, Copper Tripeptide-1, Leontopodium Alpinum Meristem Cell Culture, Dipeptide-2, Palmitoyl Tripeptide-1, Palmitoyl Tetrapeptide-7, Copper Lysinate/Prolinate, Hesperidin Methyl Chalcone, Chondrus Crispus (Carrageenan), Mangifera Indica (Mango) Seed Butter, Glycine Soja (Soybean) Oil, Hippophae Rhamnoides Oil, Sclerocarya Birrea Seed Oil, Sodium Hyaluronate Crosspolymer, Hydroxyethylcellulose, Coco-Caprylate/Caprate, Steareth-20, Lecithin, Panthenol, N-Hydroxysuccinimide, Ubiquinone, Citric Acid, Thioctic Acid, Tocopherol, Chrysin, Sclerotium Gum, Methylglucoside Phosphate, Xanthan Gum, Potassium Sorbate, Sodium Benzoate, Chlorphenesin, Caprylyl Glycol, Sodium Hydroxide, Phenoxyethanol, Pentylene Glycol / Ethylhexylglycerin. Éminence Neroli Age Corrective Eye Serum. Éminence Neroli Age Corrective Eye Serum is a natural retinol alternative, so it&apos;s worth a try if you want to treat lines but have trouble with retinoids. It has a light texture that sinks in quickly, and is silicone-free. I&apos;ve used this for years and love it. Ingredients: Coconut Water, Natural Retinol Alternative Complex (Chicory Root Oligosaccharides, Vegetable Glycerin, Tara Tree Gum, Gluconolactone, Sodium Benzoate), PhytoCellTec (Swiss Green Apple Cell Culture Extract, Xanthan Gum, Vegetable Glycerin, Lecithin), Vegetable Glycerin, Coco Caprylate/Caprate, Panthenol, Cetyl Alcohol, Glyceryl Stearate, Soybean Oil, Wild Yam Extract, Vitamin E, Carrot Extract, Biocomplex (Vitamin A, Vitamin C Ester, Vitamin E, Coenzyme Q10, Alpha Lipoic Acid), Stearic Acid, Potassium Alginate, Sodium Benzoate, Potassium Sorbate, Sodium Salicylate, Neroli Oil. If iS Clinical Youth Eye Complex is good enough for celeb facialist Shani Darden, it&apos;s good enough for me. This is a professional-quality, low-silicone eye serum with peptides, growth factors and antioxidants. Ingredients: Water (Aqua)​,​ Sodium Hyaluronate​,​ Caprylic/Capric Triglyceride​,​ Glycerin​,​ Acetyl Octapeptide-3​,​ Glyceryl Dilaurate​,​ Pseudoalteromonas Ferment Extract (Pseudoalteromonas Ferment)​,​ Hydrolyzed Wheat Protein​,​ Hydrolyzed Soy Protein​,​ Tripeptide-10​,​ Citrulline​,​ Tripeptide-1​,​ Lecithin​,​ Silica Dimethyl Silylate​,​ Dimethicone​,​ Cetyl Alcohol​,​ Cetearyl Alcohol​,​ Ceteareth-20​,​ Glyceryl Stearate​,​ Peg-100 Stearate​,​ Glycosaminoglycans​,​ Urea​,​ Glucose​,​ Guanidine HCI,​ Dipalmitoyl Hydroxyproline​,​ Panthenol​,​ Centella Asiatica Extract (Centella Asiatica)​,​ Phospholipids​,​ Retinyl Palmitate​,​ Tocopheryl Acetate​,​ Ascorbyl Palmitate​,​ Pantothenic Acid​,​ Phytonadione​,​ Dipotassium Glycyrrhizate​,​ Butylene Glycol​,​ Xanthan Gum​,​ Carbomer​,​ Triethanolamine​,​ PVP​,​ Ethylhexyl Palmitate​,​ Disodium EDTA​,​ 1,​ 2-hexanediol,​ Caprylyl Glycol​. I hope this is helpful if you&apos;ve been wondering whether to invest in an eye cream. It really depends on your skin, your goals and your budget. Again, if you want to use a treatment product, but just can&apos;t fine one you tolerate, I&apos;d strongly recommend checking out the iluminage Eye Mask or the Me Glow Eye Mask. They&apos;re an alternate way of getting a great anti-aging ingredient (copper) onto the skin! What are your favourite products for the eye area?